NCB recently donated $2,500 to the Highland County Senior Citizens Center. The money will be used for the center’s Meals-on-Wheels program. This program provides hot, freshly-made meals to senior citizens in Hillsboro five days a week. 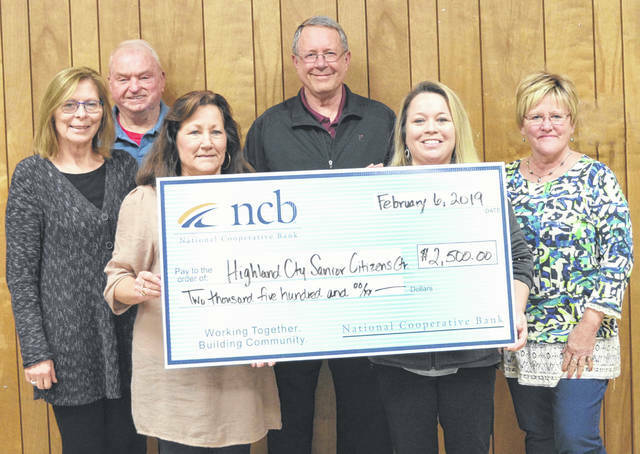 NCB’s Jean Boise (front, left) presents a check to Highland County Senior Citizens Executive Director Mechell Frost (front, right) and senior center board members.